New calibers and loads have been appearing each year for well over a century. However, we live in particularly turbulent times as far as ammunition is concerned. 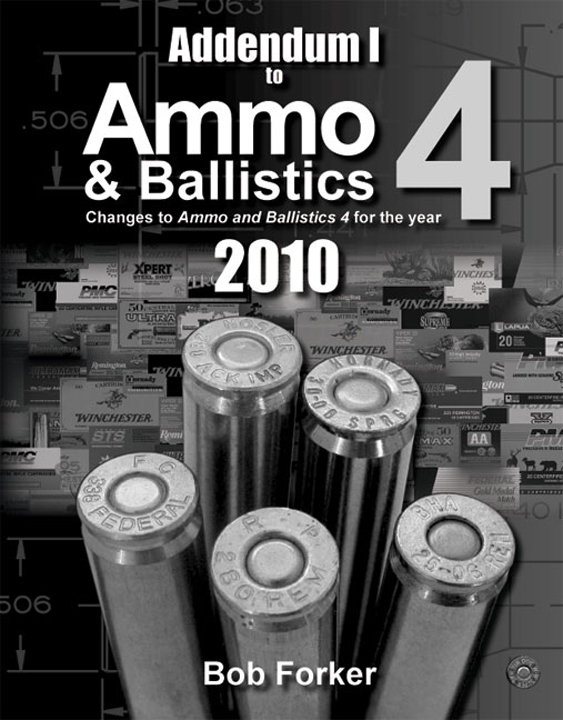 Since the release of A&B4, there has been a great many changes, and this has necessitated coming out with an addendum to Ammo & Ballistics 4. Many new lead-free loadings have come on the market as well as new calibers: .17 Remington Fireball, 6.5 Creedmoor, .308 Marlin Express, .300 Ruger Compact Magnum, .338 Ruger Compact Magnum, .450-400 Nitro Express, and .416 Ruger. In addition, there are calibers previously not commercially loaded but now offered once more (.50 BMG) and 350 new factory loads that were not covered in the original edition of Ammo & Ballistics 4. Buy both books, Ammo & Ballistics 4 and the Addendum, for $30.00. After ordering both books (Ammo & Ballistics 4 and the Addendum), type in AWB101 in the coupon book. Offer good only on new orders. Submit your review for "Addendum I to Ammo & Ballistics 4 (Sc)"